At last some good news for Mexican star Canelo Alvarez. 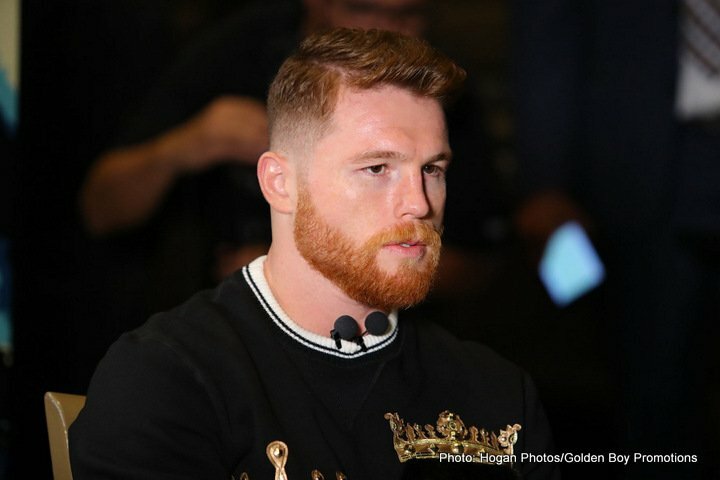 As per a piece on ESPN.com, Alvarez, who submitted to a hair follicle test in an effort to prove his is not a cheat and did not purposely ingest the banned substance clenbuterol (Canelo failing two blood and urine tests, traces of the substance being found in his system) saw the hair test of March 29 come back clean, on April 20. “Clenbuterol, like many other substances, accumulates in very small amounts in hair follicles. If an athlete has taken the substance over a period of time in the past, his/her hair test might return a positive for a period of six months or longer. Conversely, if the clenbuterol resulted from a single incident, in which the subject had eaten meat for example, a hair test would almost certainly be negative,” a statement from Dopeology.org reads. Naturally Golden Boy heads Oscar De La Hoya and Eric Gomez are stating how this clean test “proves” Canelo’s innocence; that the fighter merely did as he has always maintained and unintentionally ate contaminated meat in Mexico. So although critics and doubters will remain, to many this new evidence suggests quite strongly that Canelo is in fact an innocent fighter after all (innocent yet foolish, as in foolish enough to have eaten meat in Mexico when he and his team knew there was an ongoing problem with contaminated meat in Mexico). De La Hoya says Canelo will now look to take a lie detector test to further prove he is a clean athlete. READ 40 DAYS: Canelo vs. Jacobs | Episode 1: "Roots"
Could we then, see the big rematch between Golovkin and Canelo this September? Can Canelo ever fully restore his good name? For the first time since this whole story arose, Alvarez has had some good news at least.